Thats all. Game finished - Luxembourg 1, Ukraine 2. Second Half ended - Luxembourg 1, Ukraine 2. Vitaliy Mykolenko - Ukraine - won a free kick in defence. Dirk Carlson - Luxembourg - receive yellow card for a foul. Viktor Tsygankov - Ukraine - won a free kick on the right wing. Substitution - Luxembourg. Mario Mutsch for Olivier Thill. Kevin Malget - Luxembourg - won a free kick in defence. Missed chance. Olivier Thill - Luxembourg - shot with right foot from a diffucult position on the left is close, but missed to the left. Assist - Stefano Bensi with a cross. Corner - Ukraine. Conceded by Christopher Martins Pereira. Shot blocked. Moraes - Ukraine - shot with right foot from the centre of the box is blocked. Assist - Viktor Tsygankov. Offside - Ukraine. Viktor Tsygankov with a pass, however Roman Yaremchuk is in offside. Vitaliy Buyalskiy - Ukraine - won a free kick in defence. Substitution - Ukraine. Vitaliy Buyalskiy for Oleksandr Karavaev - injury. Corner - Luxembourg. Conceded by Mykyta Burda. New attacking attempt. Yevhen Konoplyanka - Ukraine - shot with right foot from outside the box is saved in the top right corner. Assist - Ruslan Malinovskiy. Shot blocked. Leandro Barreiro Martins - Luxembourg - shot with left foot from outside the box is blocked. Missed chance. Ruslan Malinovskiy - Ukraine - shot with left foot from outside the box goes high from a free kick. Corner - Ukraine. Conceded by Maxime Chanot. Substitution - Ukraine. Oleksandr Karavaev for Bogdan Butko. Corner - Ukraine. Conceded by Anthony Moris. New attacking attempt. Yevhen Konoplyanka - Ukraine - shot with right foot from the left side of the box is saved in the right corner. Missed chance. Christopher Martins Pereira - Luxembourg - shot with right foot from outside the box is close, but misses the top right corner. Corner - Ukraine. Conceded by Leandro Barreiro Martins. Corner - Ukraine. Conceded by Kevin Malget. Yevhen Konoplyanka - Ukraine - won a free kick on the left wing. Missed chance. Gerson Leal Rodrigues Gouveia - Luxembourg - shot with the head from the centre of the box is very close to the goal. Assist - Stefano Bensi with a cross after corner. Corner - Luxembourg. Conceded by Mykola Matvyenko. Substitution - Luxembourg. Stefano Bensi for Vincent Thill. Corner - Ukraine. Conceded by Gerson Leal Rodrigues Gouveia. Missed chance. Moraes - Ukraine - shot with right foot from the right side of the box is close, but missed to the left. Assist - Viktor Tsygankov. Dirk Carlson - Luxembourg - won a free kick in defence. Substitution - Ukraine. Roman Yaremchuk for Roman Bezus. Bogdan Butko - Ukraine - receive yellow card for a foul. Dirk Carlson - Luxembourg - won a free kick on the left wing. Missed chance. Yevhen Konoplyanka - Ukraine - shot with right foot from outside the box goes high from a free kick. Kevin Malget - Luxembourg - receive yellow card for a foul. Moraes - Ukraine - won a free kick in attack. Missed chance. Gerson Leal Rodrigues Gouveia - Luxembourg - shot with right foot from long distance on the left goes high. Assist - Olivier Thill. Christopher Martins Pereira - Luxembourg - won a free kick in defence. Vitaliy Mykolenko - Ukraine - won a free kick on the left wing. New attacking attempt. Laurent Jans - Luxembourg - shot with left foot from the centre of the box is saved by goalkeeper in the centre of the goal. Assist - Christopher Martins Pereira. Missed chance. Moraes - Ukraine - shot with the head from the centre of the box missed to the left. Assist - Viktor Tsygankov with a cross after corner. Maxime Chanot - Luxembourg - receive yellow card. Missed chance. Vincent Thill - Luxembourg - shot with right foot from the left side of the box is close, but missed. Assist - Maxime Chanot after corner. Shot blocked. Gerson Leal Rodrigues Gouveia - Luxembourg - shot with left foot from outside the box is blocked. Assist - Vincent Thill. Corner - Luxembourg. Conceded by Moraes. Corner - Luxembourg. Conceded by Oleksandr Zinchenko. Mykyta Burda - Ukraine - receive yellow card for a foul. Olivier Thill - Luxembourg - won a free kick on the left wing. Second Half starts Luxembourg 1, Ukraine 1. First Half ended - Luxembourg 1, Ukraine 1. 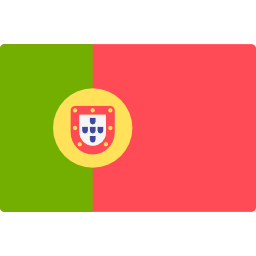 Leandro Barreiro Martins - Luxembourg - receive yellow card for a foul. Ruslan Malinovskiy - Ukraine - won a free kick in defence. Olivier Thill - Luxembourg - won a free kick in defence. New attacking attempt. Vincent Thill - Luxembourg - shot with left foot from outside the box is saved in the left corner. Assist - Laurent Jans. Goal! Luxembourg 1, Ukraine 1. Viktor Tsygankov - Ukraine - shot with left foot from the right side of the six yard box to the right corner. Assist - Oleksandr Zinchenko with a through ball. Missed chance. Viktor Tsygankov - Ukraine - shot with the head from the centre of the box is close, but missed to the left. Assist - Ruslan Malinovskiy. Shot blocked. Oleksandr Zinchenko - Ukraine - shot with left foot from outside the box is blocked. Assist - Roman Bezus. Yevhen Konoplyanka - Ukraine - won a free kick in defence. Goal! Luxembourg 1, Ukraine 0. David Turpel - Luxembourg - shot with right foot from few metres to the centre of the goal. New attacking attempt. Maxime Chanot - Luxembourg - shot with right foot from few metres is saved by goalkeeper in the centre of the goal. New attacking attempt. Kevin Malget - Luxembourg - header inside of six yard box - left side is saved in the left corner. Assist - Olivier Thill. Gerson Leal Rodrigues Gouveia - Luxembourg - won a free kick in attack. Missed chance. Yevhen Konoplyanka - Ukraine - shot with right foot from outside the box is high and wide to the right from a free kick. Ruslan Malinovskiy - Ukraine - won a free kick in attack. Delay in match Laurent Jans - Luxembourg - - injury. Corner - Ukraine. Conceded by Vincent Thill. Vincent Thill - Luxembourg - won a free kick in defence. Shot blocked. Viktor Tsygankov - Ukraine - shot with left foot from the centre of the box is blocked. Delay in match Christopher Martins Pereira - Luxembourg - - injury. Shot blocked. Ruslan Malinovskiy - Ukraine - shot with left foot from a diffucult position and long distance on the right is blocked. Missed chance. Kevin Malget - Luxembourg - shot with right foot from a diffucult position on the right is high and wide to the right . Vincent Thill - Luxembourg - won a free kick on the right wing. Missed chance. Moraes - Ukraine - shot with the head from the centre of the box missed to the left. Assist - Bogdan Butko with a cross. 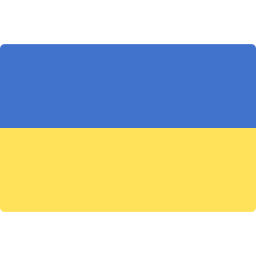 Get real-time football commentaries and full coverage for the Euro Qualification match Luxembourg vs. Ukraine, powered by Scorenga.co.uk. This page is dedicated to one of the most exciting Euro Qualification clashes. Here you will find a summary of the game, standings and photos.